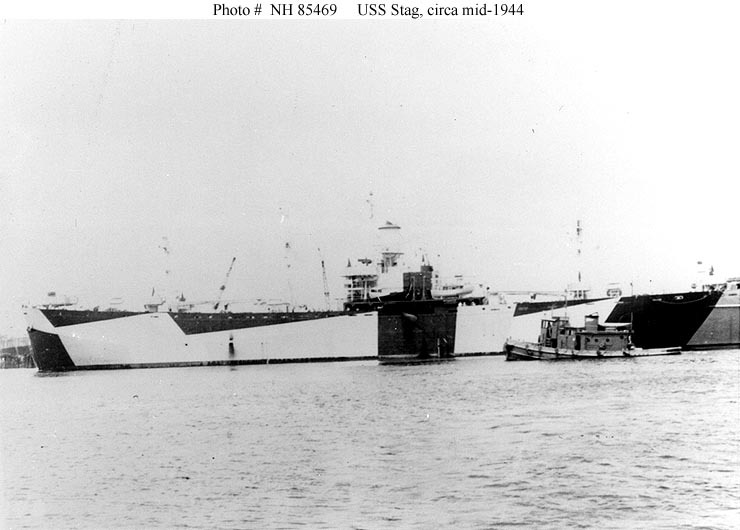 ↑USS Stag (AW-1, formerly IX-128). Photographed circa mid-1944, probably upon completion of conversion to a water distilling ship. She is painted in Camouflage Measure 32, Design 11F. The medium tones of this pattern are only faintly visible on the ship's forward and midships hull sides. Courtesy of Donald M. McPherson, 1977. U.S. Naval Historical Center Photograph. 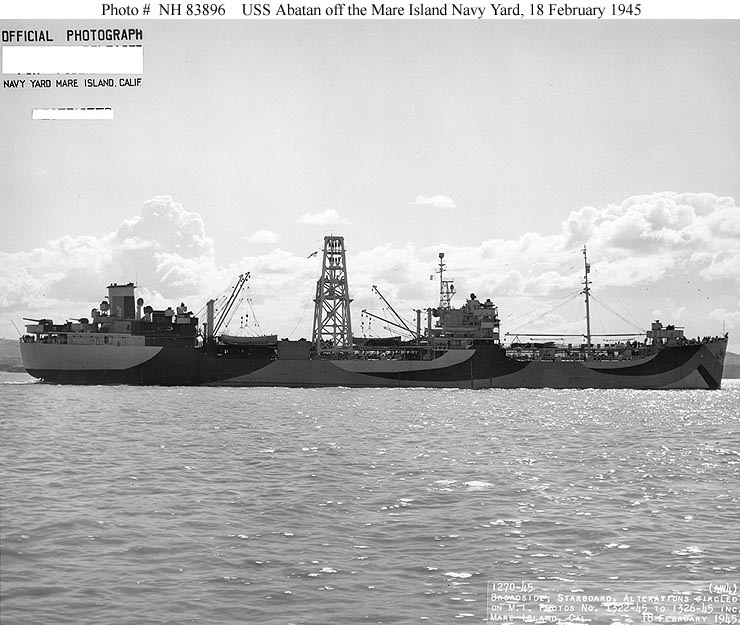 ↑USS Abatan (AW-4). Off the Mare Island Navy Yard, California, 18 February 1945. Her camouflage is Measure 32, Design 7AO. Official U.S. Navy Photograph, from the collections of the Naval Historical Center.